#3 Orange veggies mix (carrots, squash, sweet potatoes, with ginger, fennel seeds, lightly sauteed with olive oil. #4 Fish (Tilapia or Swai fish) and Mix of green leaves (kale, spinach, chards), with broccoli, zucchini, lightly cooked with coconut oil. 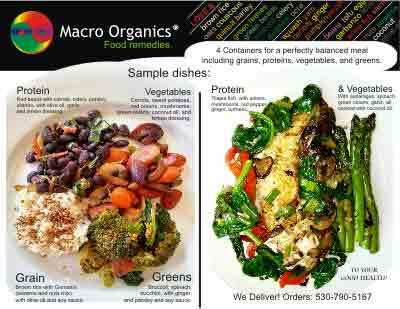 Order your Organic Food for Healing Today! We prepare deliveries for a day, a week, or a full month of foods! We offer: Great Prices, Great Taste, Better Health. Try us!